Do you want to feel like a Queen for a night? Let's organise this night together : costumes, masks, professional makeup, hair and wigs are provided in our office in Paris before the event. 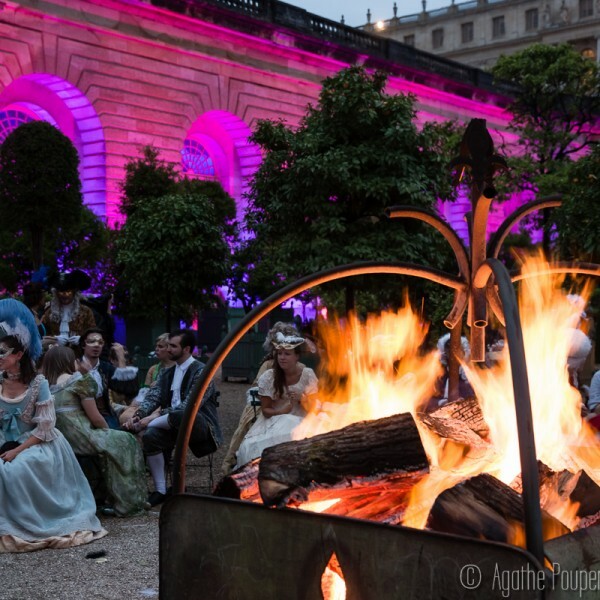 The Versailles masquerade Ball is an event not to miss if you are in Paris on Saturday June 22, 2019. 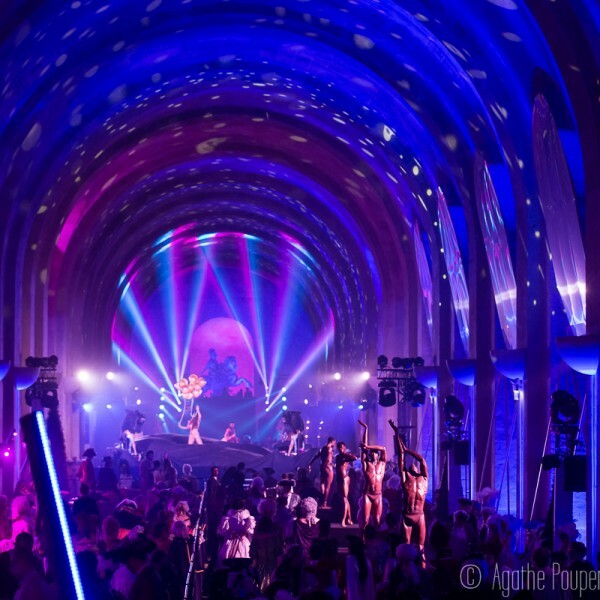 It could even be a good reason to come to Paris and enjoy an unusual party ! Share this unforgettable moment with your partner, friends or even your employees ! For the seventh time in history of the 21th century, L’Orangerie du Château de Versailles becomes for a night the most elegant, the most whimsical and the finest ballroom. Be one the guests, have a party with the Frenchs and feel like a Queen or a King for a night. The occasion to have a party in one of the most beautiful palace of France may not come a second time! Versailles Palace, emblematic and sublime place, still resounds royal feasts that animated the Palace and its Garden. Extravagant, elegant and frivolous, they are part of the collective imagination. 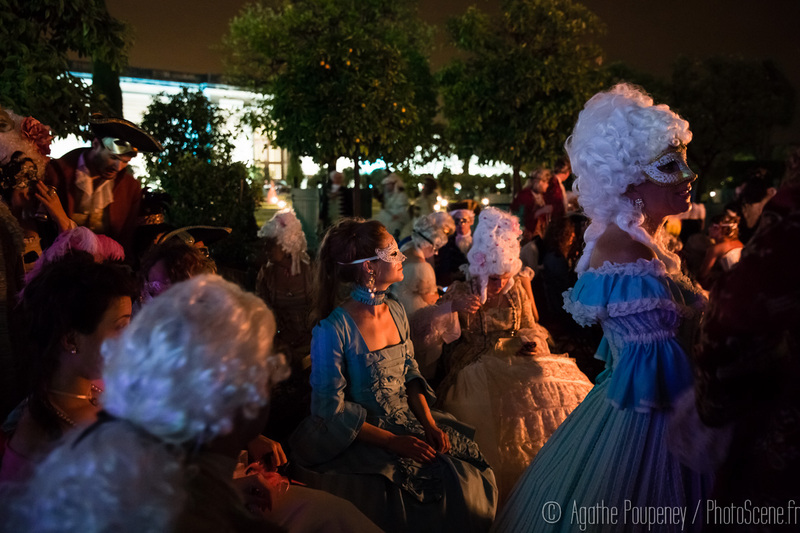 For the sixth consecutive year, the Orangerie of Versailles opens to you to a Grand Masked Ball 2019. 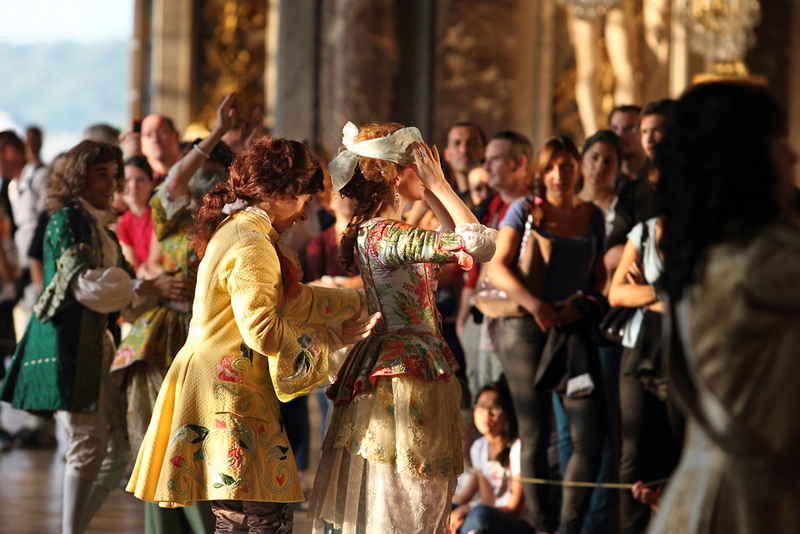 All guests need to wear a baroque quality costume before reaching the Palace walls. Your will be masked to get inside and during the whole night. The entry will be denied to non-costumed. Our hairstylist expert will help you to be make up, dressed and well prepared: we will take our afternoon before the venue to care about you like the Queen took great care of herself before any party! 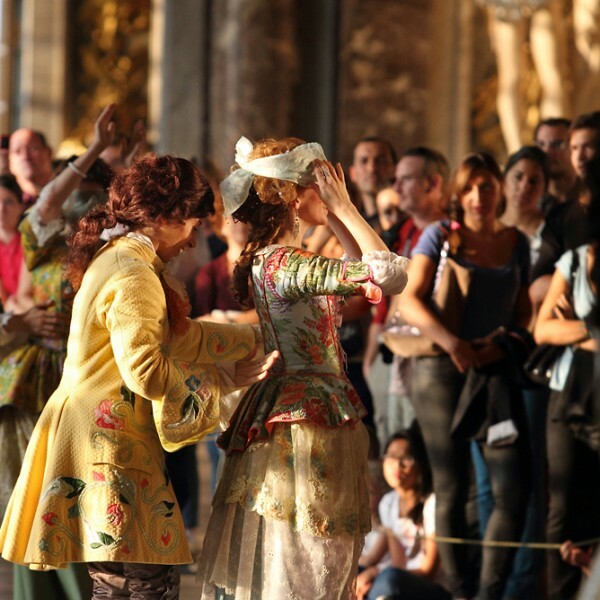 In Versailles, you’ll be welcomed by your masked guide, also dressed in period baroque costume. He will present you the palace from the overhanging terrace, and the breathtaking view on the gardens. You’ll be taken for a stroll, following the royal path, and to the best hidden groves you can ever find in the side-sections. You’ll learn about the subliminal meaning of those places, what they witnessed, intrigues which took place in there, and of course the extravagant festivites the king held in the gardens of Versailles. Headsets (if necessary for large group) so you can peacefully always hear your guide. You will have a glass of Champagne by the Mirror Pool, and possibly meet other mysterious masked guests, while being told about this incredible 18th century noble society. While admiring the Musical Fountains in front of the King’s Garden, you will experience the Versailles festivities as it was 4 centuries ago. 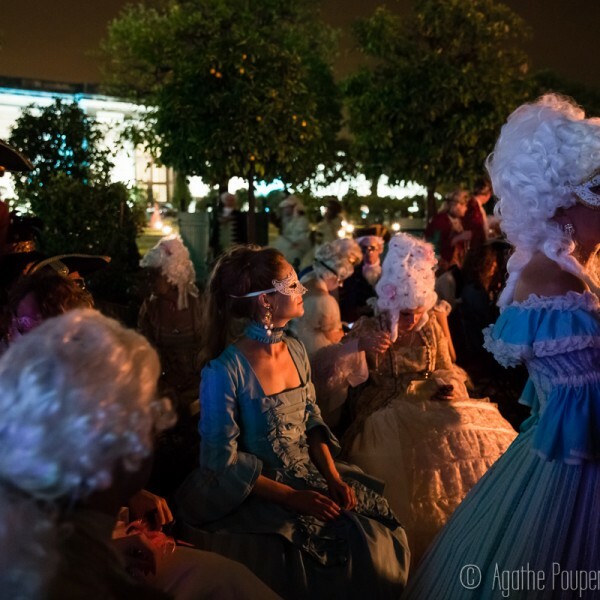 You’ll then join the best spot to enjoy the Fountains Night Shows and the fireworks, before heading to the Versailles Masked Ball 2019 in the amazing buildings of the Orangerie. The basic package including the VIP tickets and your costumes starts at 2000€/pers. The deposit is a minimum of 800€ per costume. 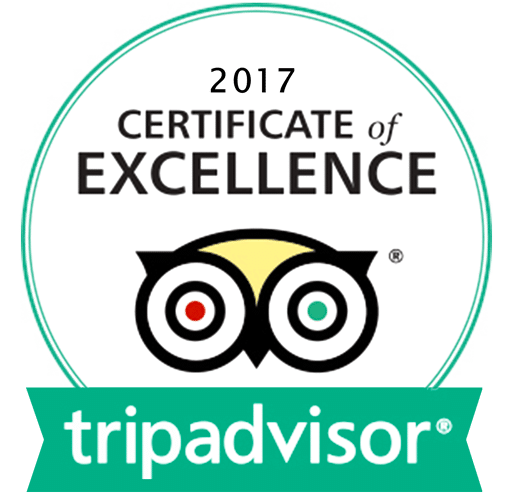 On option, we can add an exclusive transport, your personal guide, as well as your Marie Antoine make up expert or personal hair stylish expert for your wigs. More option on request! 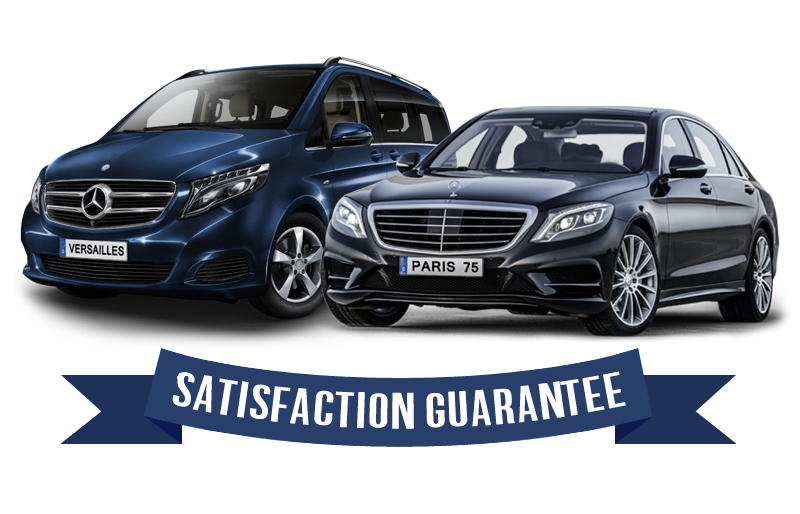 On option, we will pick you up at your hotel in Paris and will take you back at dawn! Once in a lifetime, feel like a Queen & enjoy the show! Our guides are French, Anglophile, passionate & specialized on the castle of Versailles. She/he can take part of the event with you. this way, you benefit from a well trained and friendly guide who will be with you during the whole night. Of course he likes parties! and he will talk to you about the famous parties spent in the castle from the end of the 17th century until the French revolution in 1789. Click here to learn more about the parties held in the castle and gardens of Versailles. Before the grand ball, we can also organise for you a cocktail or a dinner with a French food Chef, musicians as well as cooks and waiters dressed in the fashion of the king’s court in a classy typical french apartment in the center of Paris. This event can take place in a hotel particulier from the 18th century with an breathtaking view in central Paris. This can be accommodate for a large group of 10 people or more. Tables, unlimited glasses of champagne and gourmet buffet. A professional photographer and or video-photographer can accompany you to keep memories of this magical moment spend with your friends or your partner. Don’t need to wast your time! Just get inside. Parties held over the centuries to Versailles are exceptional moments in the history of the palace and the history of art. The Sun King Louis XIV born at St Germain en laye in the French countryside and raised in Paris at le Louvre (his castle which is now the famous Museum) finally decided to move the court and the nobles from Paris to Versailles making the City of Versailles the heart of the French power for one century. It was not an easy deal to move the court. The King understood that he needed to attract the nobles by offering them activities to distract them… Hunts, rides, theatrical performances, concerts, ballets, dances, games of skill were among the main attractions of living in Versailles. King Louis XIV was the first King to codify this exercise and make an organized scheme to make it an instrument of his glory. Its objective is twofold: to ensure a docile court and to build an image that survives him. Nowadays, the Versailles Palace propose you to live a night at Versailles. 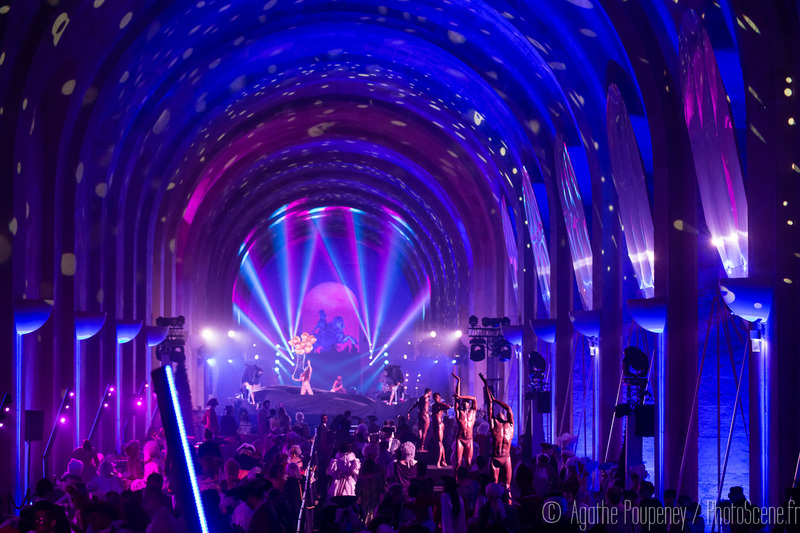 There will be dancers, performers and artists taking part in the newly staged ball. 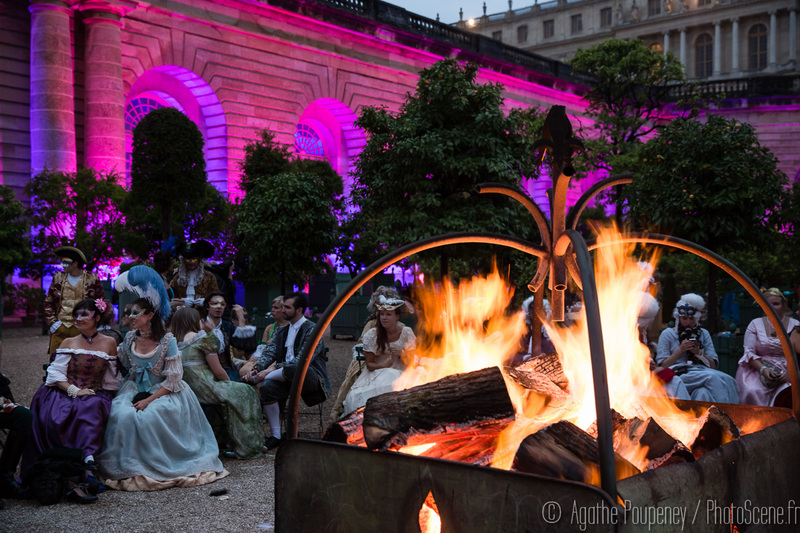 The Grand Masked Ball is the occasion of an exceptional evening in period costume at Château de Versailles. Be ready! Get dressed with your most beautiful costume, mask, makeup & wigs and enjoy a night to feel how it was during the time of the king.